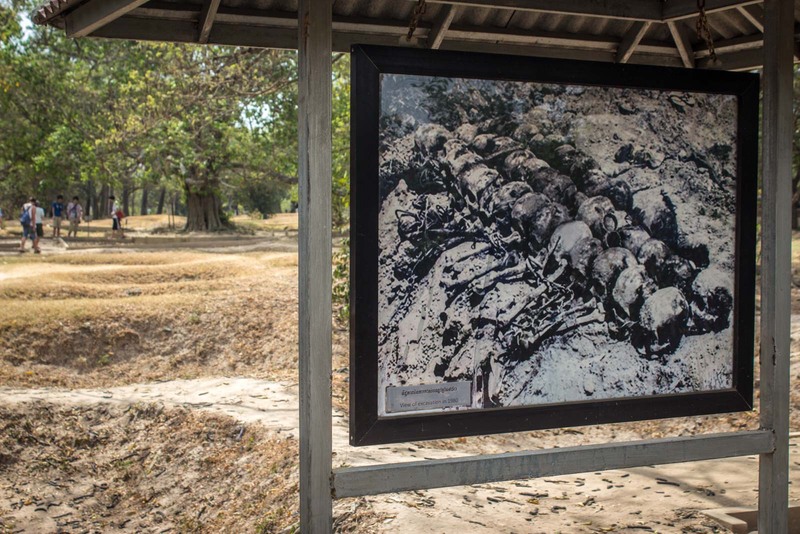 One of the things that strikes you at the Killing Fields, on the outskirts of Phnom Penh, is how crude everything once was here – even the murders. Especially the murders. Ammunition was too expensive and in short supply so the people killed here were normally hacked to death with spades, machetes or even the spiked plants that grew nearby. The people killed here were not even worth the price of a bullet. 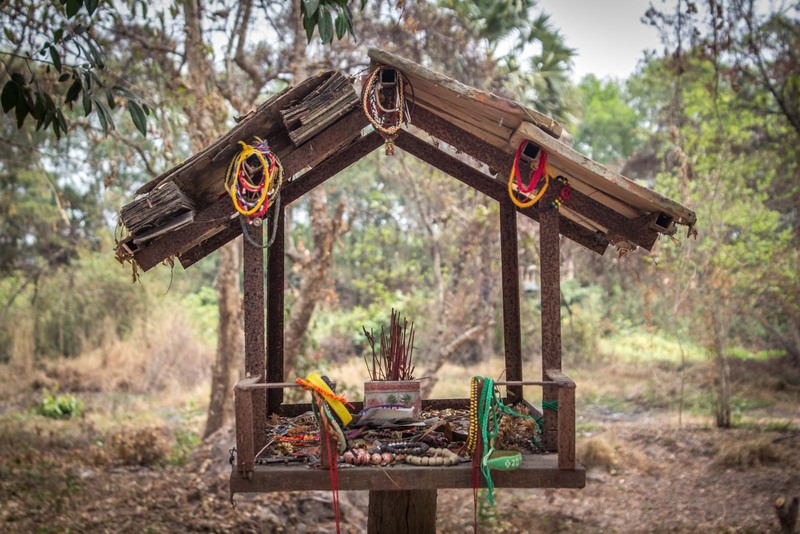 The Killing Fields is part of the legacy left by the Khmer Rouge in Cambodia. When Pol Pot and his murderous organisation took control of the country, he tried to enforce his communist dream through a nightmare of fear and violence. Anyone with the ability to think for themselves was seen as a threat and he set out to eliminate them. Simply having a career as something like a lawyer, doctor, linguist or teacher was enough to mark you for death. That Pol Pot himself was once a teacher and spoke multiple languages was irrelevant in this brazen genocide. 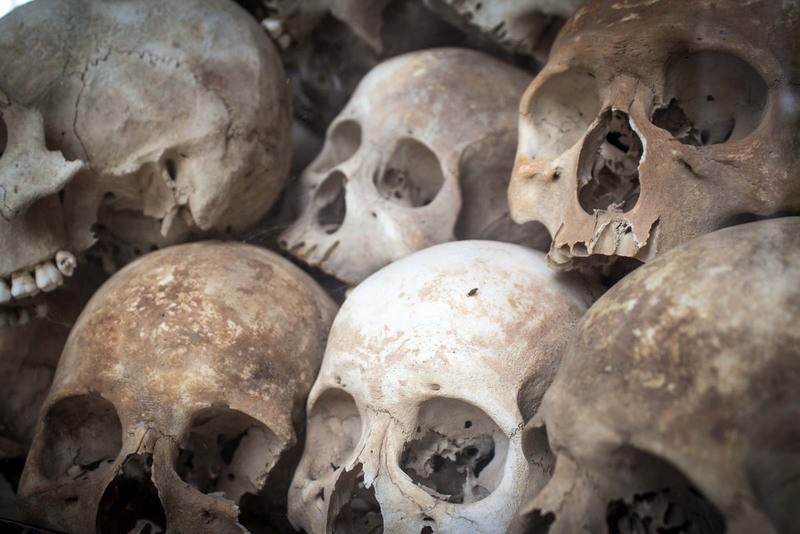 Cambodia became isolated and over the four years the Khmer Rouge ruled the country between 1975 – 1979, it’s estimated about 3 million people died. That was almost half the population at the time. At least 20,000 Cambodians were executed here at the Killing Fields in Phnom Penh (the site is also known as Choeung Ek Genocidal Centre). They were brought out in trucks, taken to pits that had been dug in the ground, and then bashed/hacked/mutilated before being thrown into the hole. Body upon body piled up on top of each other in the mess of massacre. From an infrastructure point of view, the site is crude. Nowadays there are no originals building left but, even back then, there were just a few small wooden structures. Comparing it, for example, to the German concentration camp Auschwitz in Poland, you realise how primitively brutal the Khmer Rouge was. There was no plan for the future, no nation-building grand design. They weren’t trying to create a society, they were trying to destroy one. 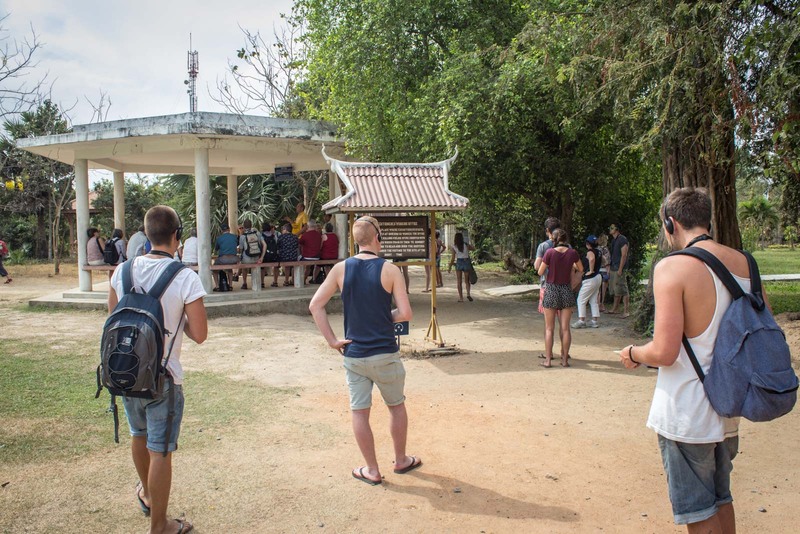 The free audioguide which comes with the entrance fee at the Killing Fields paints the picture well. 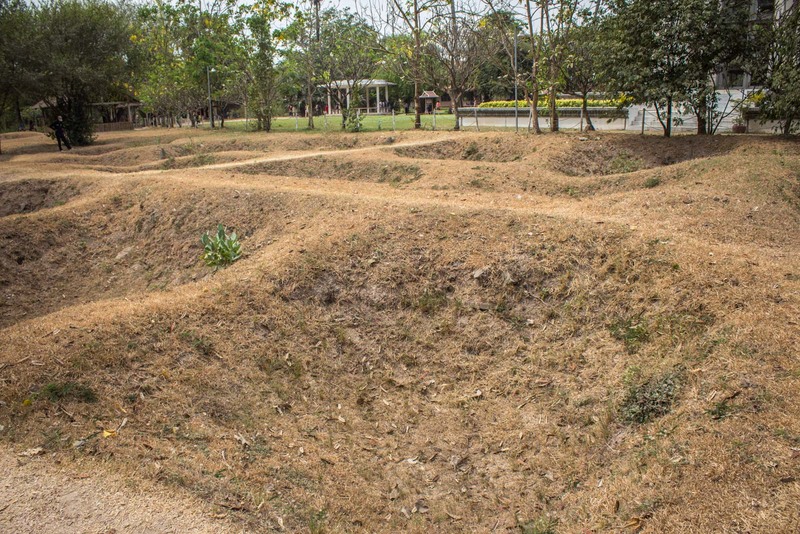 It describes how the site would have looked during the Khmer Rouge’s reign and includes first-person accounts of those who were there at the time. It puts into perspective what you can see today. 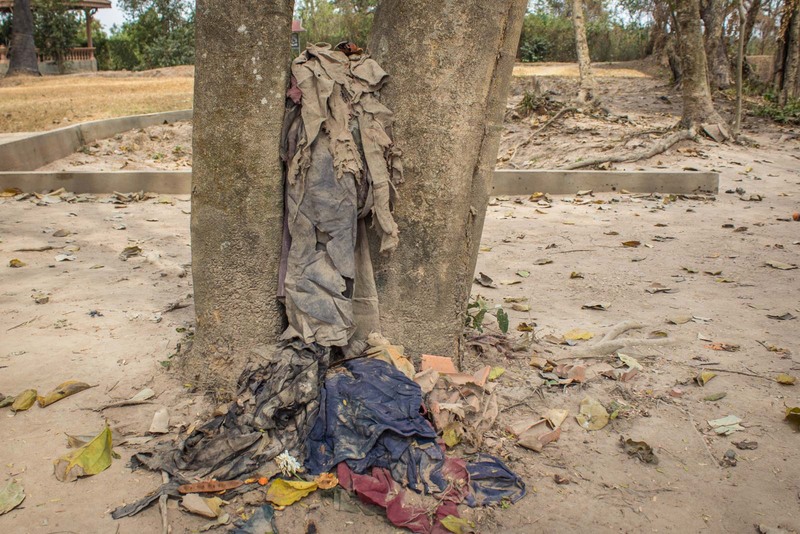 Dug-out pits with rags of clothing still half-buried in the dirt; human bones protruding from the ground; the tree the guards would smash babies against to kill them. And, of course, there’s the new addition of the stupa housing the skulls and other bones of thousands of victims. It’s a tribute to those who lost their lives but it’s a grim shrine to the horrors of what happened here. The skulls look out through the glass doors and windows at the fields in front of them – the fields of death. Where should you stay in Phnom Penh? 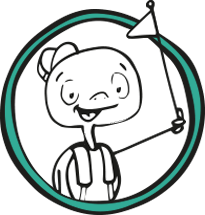 If you’re looking for a budget option, I would suggest the Share Hostel which is clean and quiet. For something cheap but trendy, Patio Hotel and Urban Resort is a great place. For good value luxury, you should try the Plantation Urban Resort with a pool in the middle of the city. And if you want to splurge for somewhere special and unique, have a look at the Mane La Residence. I’ve read a lot of blog posts about the Killing Fields but you have a way with words that is making me really picture it. After visiting Dachau, I have a frame of reference. I think the emotions you feel would be similar to somewhere like Dachau but the infrastructure is so different. 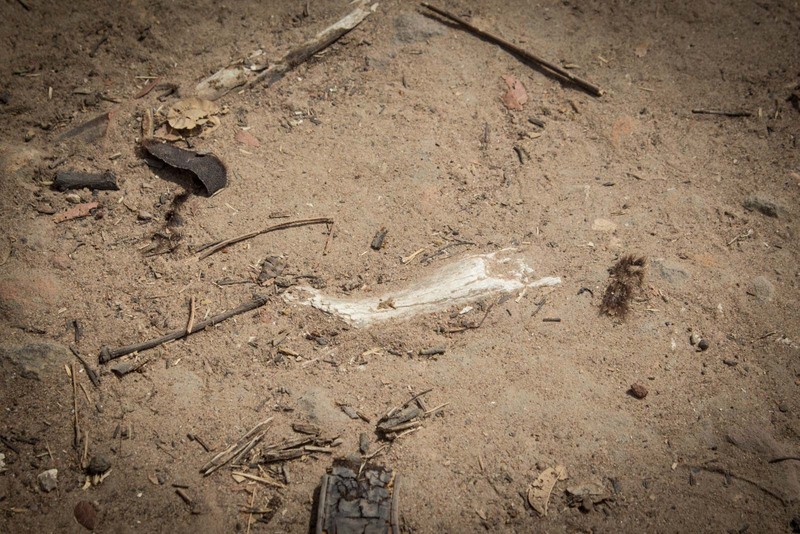 There’s so little to see at the Killing Fields and there’s a horror in that – just how crude it was. I have read about this place before and compared it to many other similar situations in history. The problem that I have is I think overall 99.99% of people are good. So when I read stories like this, it kind of gets me thinking about the soldiers that helped and the people that participated. It backs up the theory that the human mind is extremely fragile and words or objects can affect our future actions. We are easily brainwashed or affected. We are easily persuaded to go along with the majority instead of standing out in the crowd. I can not understand why these things happen but I still want to believe that all the people who participated in the killings, were fundamentally good at heart. Somewhere along the line, they just lost their humanity. Yes, fundamentally most people are good. And for those who were soldiers, it’s hard to pass judgement because you don’t know the context of the lives they were living and what had come in the past. To many, at first, the Khmer Rouge seemed like a good option after the war that had been going on around them. It’s the leaders who are the hardest to understand. Do they realise how evil their actions are or are they blinded by power? I found the tree on which they killed babys the most gruesome. It is a very sad place, but I think it is important for tourists to visit these places in order to understand Cambodia truly. Yeah, that tree is awful, isn’t it? Not just because of the way the babies died but because it says so much about the people doing the killing that they have such little respect for life and honour. 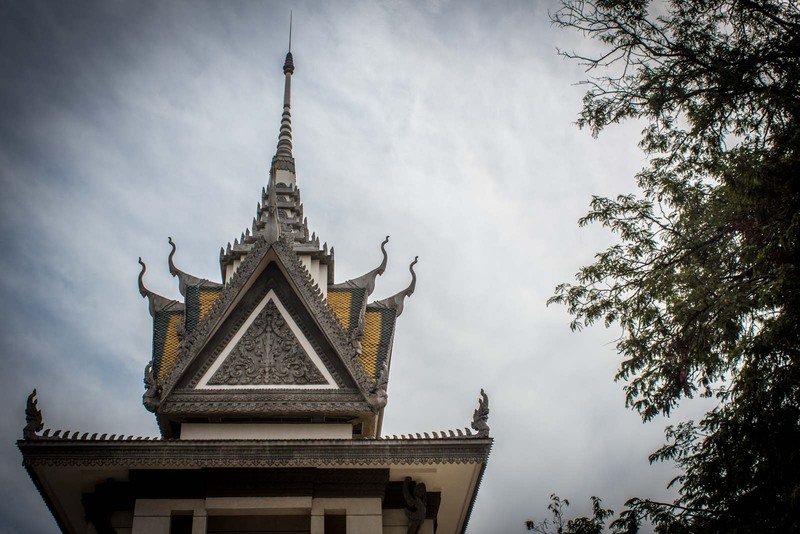 I visited the Killing Fields and Tuol Sleng when I was fairly young – still in my teens and I was utterly horrified by the cruel acts that took place there. Such evil. Knowing the thousands of people who had died there, was very raw and very uncomfortable. Reading your words brought me back to what I was feeling at the time. Let us hope that these places will stand as a reminder that we should not let it happen again. It would be really tough to see somewhere like this as a teenager, I imagine. But perhaps it has more of an effect on the way you choose to lead your life. If more people understood the horrors of the past, perhaps the world would be a better place. My opinion is that the prison is a lot more confronting because there is more to see. 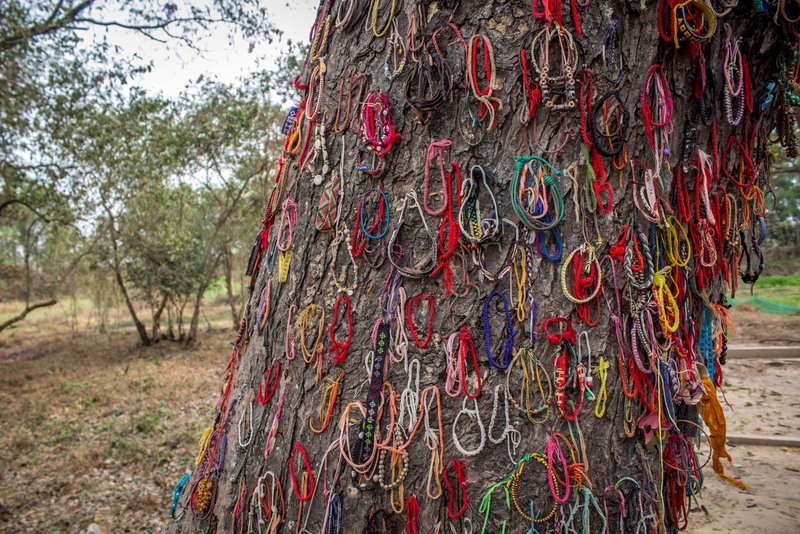 But there’s something about the Killing Fields that is important to experience as well. It really goes to the heart of the simplicity of what the Khmer Rouge were trying to do. 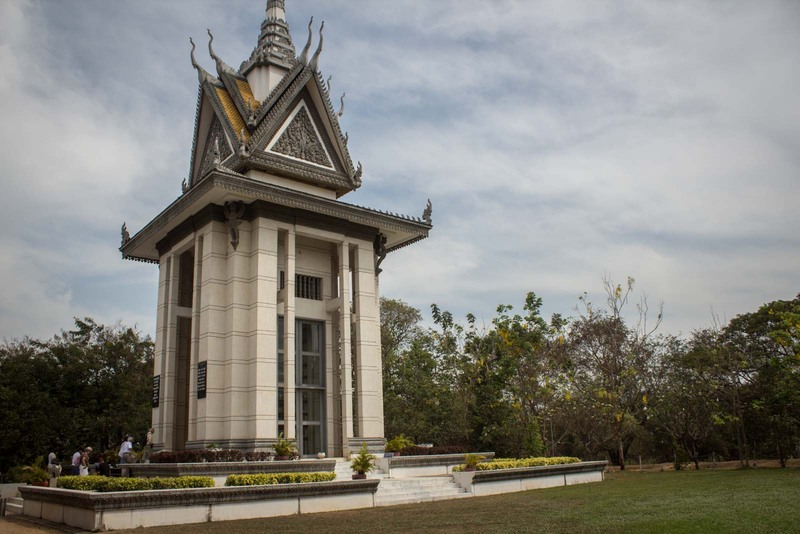 Yet to make the journey into Cambodia during our current time here in SE Asia, but when it does happen I know that myself & Franca will have the Choeung Ek Genocidal Centre at the top of our places to visit. We visited Auschwitz-Birkenau last summer and couldn’t fathom the incredible capabilities of human beings, even more so the cruelty & preparation for methodical killing. Going to Choeung Ek Genocidal Centre will undoubtedly be tough, but worth it. It’s somewhere I think you really have to visit if you’re passing through Phnom Penh – or even Cambodia more generally. It’s crucial to the country and the way so many people who live here see it. Remember, it was only 30 or so years ago, so many people in Cambodia still remember the Khmer Rouge regime vividly and have all been affected by it. I knew a little about the brutality of Pol Pot, but nothing to this degree. Insightful post as always Michael. It really was a horrible regime with such a brutal genocide. It’s a pity that it’s not more widely understood around the world. Thanks, Veronica. Travel isn’t all just lazing on beaches and eating good food. It’s also about thinking and understanding the world and this is such an important part of Cambodian (and world) history! Insightful post as usual. I’m looking forward to your stories from Cambodia as I learned so much from your time in Burma. Thanks, Jennifer. This whole region is fascinating and there’s so much to learn about these SE Asian countries. 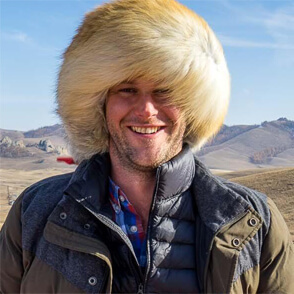 I think a lot of people just see cheap party holidays but they forget that there are centuries of really interesting history and cultural clashes! When you read posts like this it brings home the horrible fact that mankind is really not very civilized at all. When you look back on history at similar atrocities, Nazi concentration camps, Bosnia and countless others, you have to wonder are these same atrocities being carried out right now in another country. Yeah, this kind of behaviour is certainly not isolated to Cambodia. It’s a human nature thing, in some ways. And this kind of thing will pobably keep on happening as long as the international community lets it happen. A more positive story is now emerging from the gloomy terror filled years of the Cambodian civil war. A proposed documentary is about Cambodia’s General Prince Norodom Chantaraingsey and a 26 year old Australian whose life he saved in 1971 when targeted by the Khmer Rouge. “Dale of Cambodia” is a true story of an unusual friendship between the Australian adventurist, Spencer Dale and Prince Norodom Chantaraingsey. The 7 hours of full colour Super 8mm film and hundreds of still photos captured by Dale during that period were intended to be a personal rather than public record of his adventures. Now, after 40 years these incredible images and an even more incredible story will be made publically available for the first time. It’s a story of commitment, loyalty and friendship towards a man and a country facing complete inhalation from Pol Pot’s Khmer Rouge. While set in a horrific wartime environment, Dales story is uplifting and inspiring as it focuses on his untiring dedication to help and support his Cambodian friends and a nation abandoned by Australia and the rest of the world. 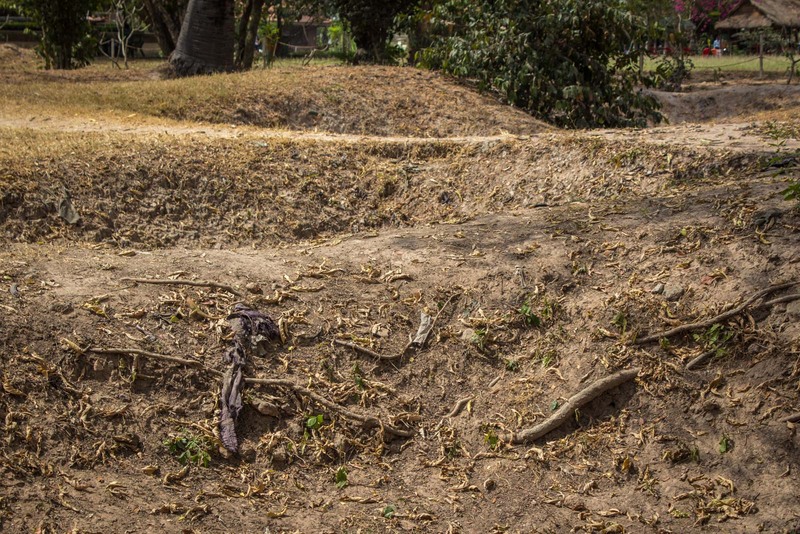 What eventually followed in Cambodia became known as the ‘Killing Fields’ and will be etched in history for its systematic genocide of some 2 million people. I hope this documentary will help with the healing of this beautiful country and its wonderful people. Sounds like a fascinating documentary! Thanks for dropping my and letting us know about it. I’ll go read some more about it now!